It is the largest long-term study of brain development and child health in the United States, and UWM is playing a crucial role. The Adolescent Brain Cognitive Development Study will follow the biological and behavioral development of more than 10,000 children at more than 20 sites nationwide. Beginning with children at ages 9 or 10, and tracking them through adolescence and into early adulthood, the ABCD Study seeks the optimal biological and environmental building blocks for raising successful and resilient young adults. Over the next decade, scientists will use advanced brain imaging, interviews and behavioral testing to determine how childhood experiences interact with a child’s changing biology to affect brain development. Understanding these relationships may help prepare young people to become successful adults while they’re still developing physically. 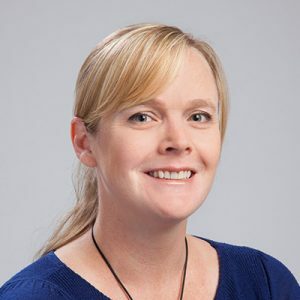 Lisdahl researches the impact of health behaviors, such as physical activity and substance use, on brain health during adolescence and young adulthood. Her research methods include brain scanning with magnetic resonance imaging. The ABCD Study is funded by the National Institutes of Health. UWM scientists have recruited 240 student participants from Milwaukee, Pewaukee, Wauwatosa, West Allis, Richmond/Menomonee Falls, Shorewood and Sussex schools. 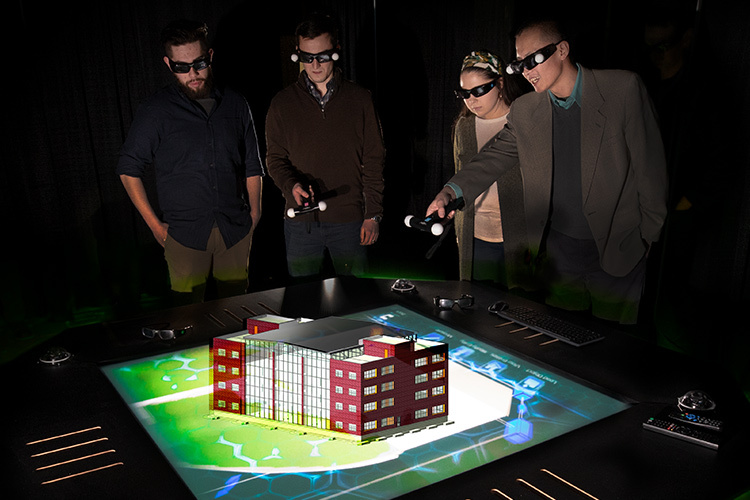 Lab director Jian Zhao says UWM’s hologram table takes group planning, design and research collaborations to a new level. 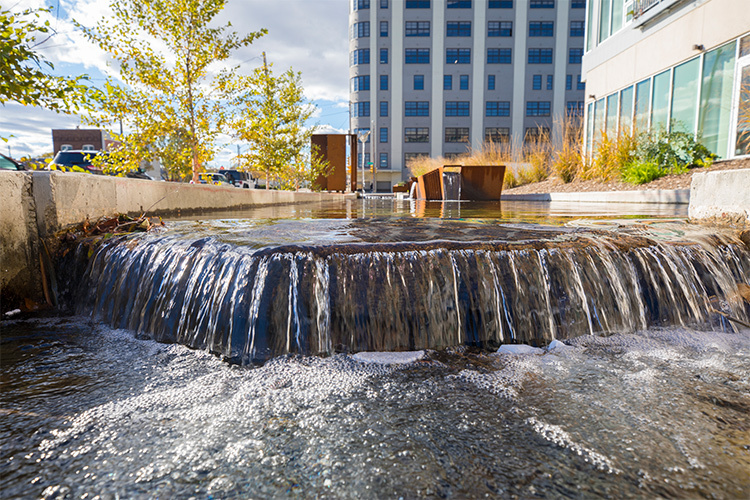 Architect James Wasley designed a rainwater fountain that recirculates and cleans runoff, and enhances Milwaukee’s Harbor District. 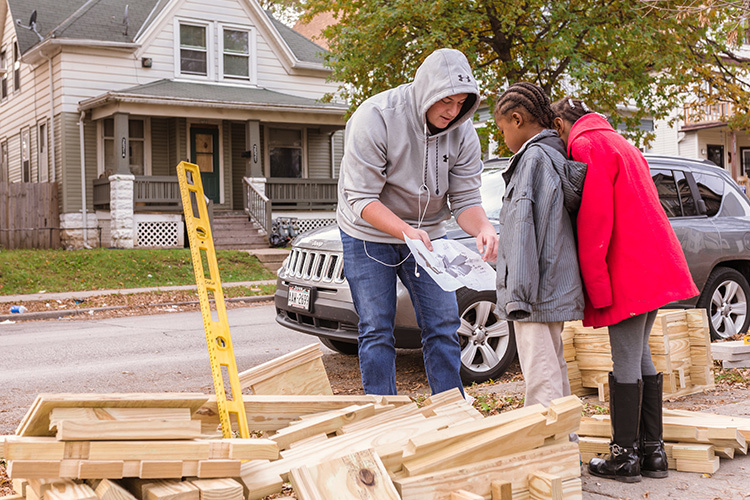 Arijit Sen leads the Buildings-Landscapes-Cultures Field School, an ongoing project that gets architecture students involved with local Milwaukee neighborhoods.